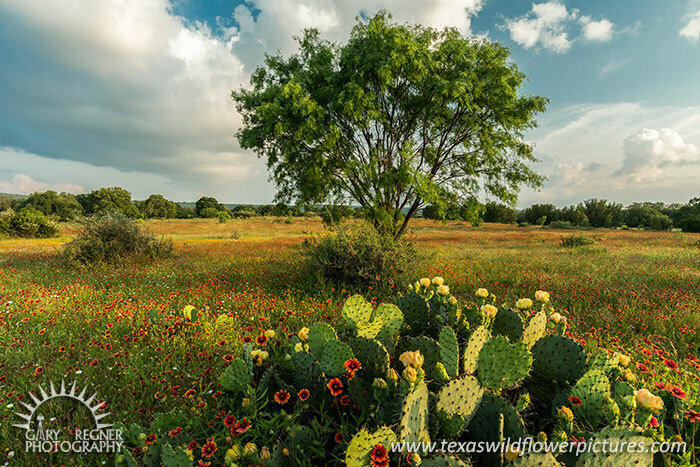 Late spring wildflowers bloom on the open range in the central Texas Hill Country near Llano. Firewheels and Prickly Pear Cacti. Texas wildflowers.